India’s participation in Moscow format a strategic trap? 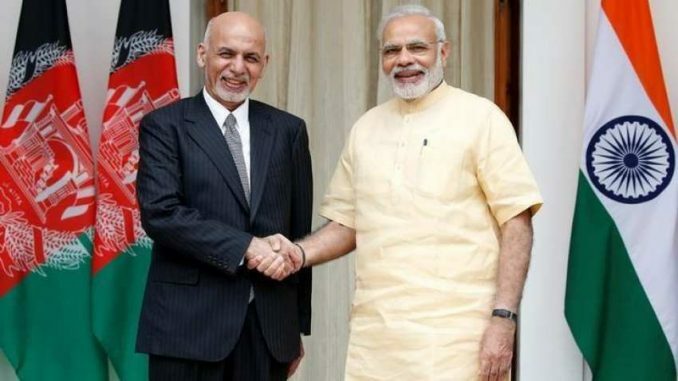 The Indian participation in the Moscow format of talks at “non-local” level for peace and stability in Afghanistan on Friday has inadvertently created an unwelcome space for Pakistan-sponsored groups to become stakeholders in Kashmir solution. The worry is that this space can be claimed by the rank outsiders Lashkar-e-Toiba, Jaish-e-Mohammad, and other armed militant outfits which the security forces are fighting in J&K. No one missed the picture of the Indian delegates, TCA Raghavan and Amar Sinha, in the same frame with Taliban and Pakistani leaders, spelling uncomfortable realities that India was reduced to a listening post in the US-Russia strategic axis of Afghanistan. Back home, militant groups in Kashmir have been given an excuse to be heard with their arms intact. Taliban delegation leader Sher Mohammad Abbas Stanikzai’s assertion that their “primary objective was to put an end to the 17-year-long invasion by the US”, and that they will not “tolerate a single soldier in Afghanistan” defines the relationship between the Taliban and Washington DC. The world community knows that the Taliban, the groups operating in Kashmir, and operations against India’s interests in Afghanistan owe their existence to the Inter-Services Intelligence (ISI) of Pakistan. Whether it was the bombing of the Indian embassy and so many other atrocities targeting Indian interests in the war-torn country or insurgency in Jammu and Kashmir, all have roots in the ISI. A recall of December 1999 when the Government of India set free three terrorists in exchange of 165 passengers and crew of the hijacked IC-814 flight in the Taliban-ruled Kandahar showed how the Taliban had assisted the hijackers and terrorist groups backing them to bring the Government of India to its knees. Among the released terrorists was Masood Azhar, who later founded the terror group Jaish-e-Mohammad that has been active in Jammu and Kashmir since April 2000. The US has its own interest. It wants to end the 17-year-old war in Afghanistan where it has lost 2,041 military personnel, according to a study “Costs of War” by Watson Institute of Brown University, US. This has been the objective of the successive US governments, and it would like others to support its goal. Russia is trying to increase its strategic clout in the region, for it wants to offset the ill-effects of its invasion of Afghanistan in the late 1970s that had led to the rise of Islamic extremism… The Al-Qaeda was a manifestation of that. The term “non-official” does not remove India’s real-time presence in Moscow. “We were not talking to the Taliban,” said Ministry of External Affairs spokesperson Raveesh Kumar. Indians were not talking to the Taliban, then what were they doing in Moscow? And what answers would be there for those asking for the non-official dialogue in Kashmir without knowing the difference between the two situations? India has landed itself into a geopolitical strategic trap.